Rapiscan Systems has won a UK contract to determine whether the presence of lithium batteries in air cargo shipments can be detected automatically. The contract for the US-based security inspection specialist comes from the UK Civil Aviation Authority (CAA) and is supported by Department for Transport funding. It calls for Rapiscan to develop “advanced detection algorithms” to establish the extent to which lithium batteries transported within air cargo can be identified. “The transport of undeclared lithium batteries through air cargo presents a safety risk that the CAA continues to address,” said Ian Shaw, CAA’s state safety programme manager. 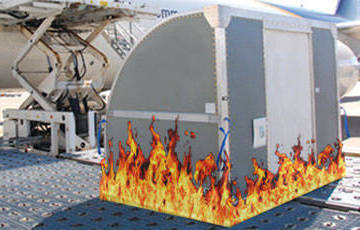 International Air Transport Association (IATA) has identified the need to regulate the transport of lithium batteries. From January 2015, lithium-metal batteries transported as cargo will be restricted to freighter aircraft only. Over the nine-month contract period of performance, Rapiscan will examine various cargo configurations and develop, test, and evaluate advanced image-processing software tools for their efficacy. Results of this study may be used by the CAA to propose new air-cargo handling policies, and may encourage further technology advancement toward the commercial use of software tools to assist air cargo inspectors. The prohibition on the carriage on passenger aircraft applies only to lithium-metal batteries when shipped by themselves, and does not apply to batteries packed with equipment or contained in equipment.